﻿ The Best KLCC View @ Regalia Residences, Kuala Lumpur | FROM $35 - SAVE ON AGODA! "Over all it's great just the hot water in the shower will ru..."
Have a question for The Best KLCC View @ Regalia Residences? "Near to LRT and mall." "Very attractive place to relax and a great view." "the reception was so nice, I really appreciate." "Pro: room is tidy, spacious with 2 queen bed + 1 sofa bed, a..."
Book the Best KLCC View @ Regalia Residences and treat your family to an indulgent getaway. 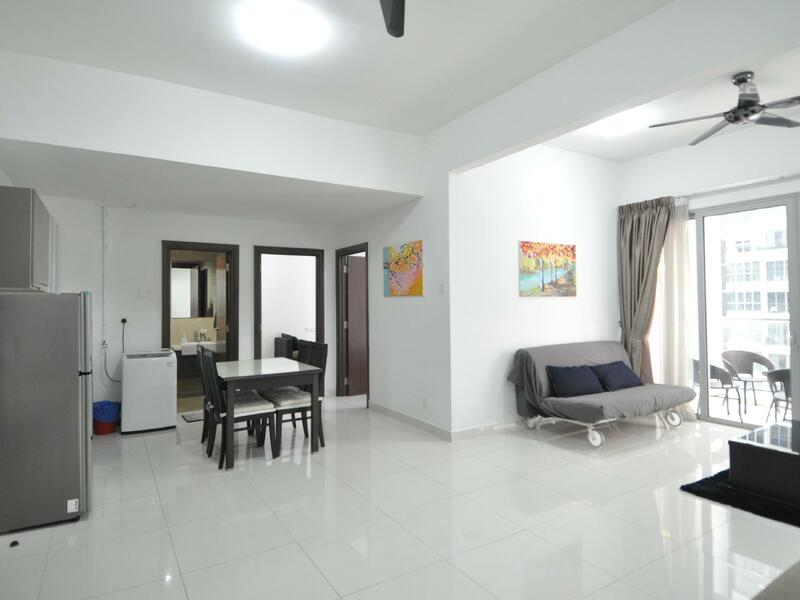 With a convenience store, a library, and a smoking area, the property provides numerous convenient features to make your stay more comfortable. It is near Sunway Putra Mall, The Mall, Kuala Lumpur Metropolitan University, University of Malaya, and Open University Malaysia. Featuring a fitness center, a sauna, a garden, a squash court, and an outdoor swimming pool, it is fully equipped to make sure that your stay will be as enjoyable as possible. Looking out at the street and garden, it has striking scenery. From a concierge to luggage storage, the Best KLCC View @ Regalia Residences has numerous useful services for guests to utilize. The property offers a poolside bar, restaurants on-site, and room service, so there is an assortment of dining and snacking choices. With American, Asian, and Chinese restaurants nearby, you can enjoy different savory cuisines during your stay. Try the food at Darabif, Urbean, Arthur's Bar and Grill, Restoran Shahjee, Zende Restaurant or other eateries nearby. The Best KLCC View @ Regalia Residences provides express, 24-hour, and private check in and check out, enabling you to conveniently use the service that best suits your schedule. There's free Wi-Fi available in all rooms, as well as Wi-Fi in common areas, connecting you to the web so you don't need to purchase a local sim card or spend on data and roaming costs. Featuring family rooms, the Best KLCC View @ Regalia Residences has ample space for your whole family to have a good time together. The property is equipped with a playground, keeping your kids happy and busy all day long. Also equipped with a kids swimming pool, it has a selection of kid-friendly facilities. The nearest airports are Sultan Abdul Aziz Shah Airport (SZB) and Kuala Lumpur International Airport (KUL), which are situated 16.5 km and 46.5 km away. KTM Train Station-Putra is 230 m away and LRT Train Station-PWTC is 280 m away. "Overall, the accommodation is comfy and clean." Check-in is not possible after 06:00 PM. Guests arriving outside the mentioned check-in hours are requested to provide an estimated time of arrival in the Special Request section upon booking. Nice place with the skypool for that price. The staff there is really very helpful and friendly. Will come again for sure! Everything good except for the staff. I had to wait her to come at lobby for 30 mins then She gave the wrong room. I waited in the unclean room for 15 mins to get new room. I went there with a group of friends about 6 persons. I feel relax time because good facilities in the room and the best for me is view of the hotel’ s rooftop pool, it’s make wonderful KLCC tower view but location is little far from shopping central. Booked this place because of the pool, and it was under renovation! Paid more than other place for nothing!! Very upsetting!! I choose this place because of the pool, main purpose! Otherwise all good!! Hopefully i can get some refund! But i am sure they won’t do it.. cos so many cheap places in KL, chose to pay more for the view but zonk!! we are regretted for the inconvenient caused, however appreciate for your valuable feedback, we will constantly strive to improve our service. A great short retreat in KL. Near to LRT and mall. Came here for the famous infinity pool with awesome KL city view. Although the parking experience wasn't as pleasant as I expected but the stay at the unit was good. The unit we stayed in was equipped with 1 bedroom 3 beds and extra bed/sofa for more people to stay in. Hairdryer, iron, cloth hanger, bath tower, soap are provided. Able to do some light cooking in the kitchen. Also have a fridge and basic utensil and tools for cooking. 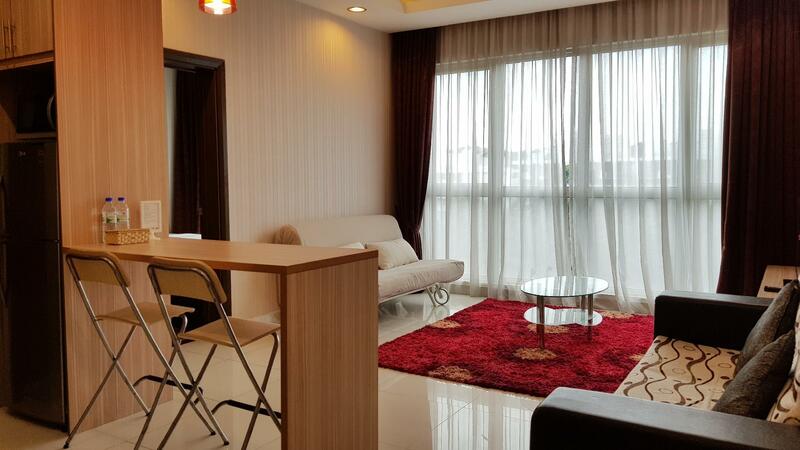 A very confortable spacious one bedroom apartment with moderate pricing. Can hear traffic on freeway adjacent to block B. Not on a main road, so if walking there, need to know its behind the Sunway Putra Mall. Even access by car requires a ramp access. Its good security to require an access card. Its a nice 45 minute walk to Suria KLCC. Nice mall next door. The room and the place itself is very regal! so fitting of its name! the room was awesome and being on the 9th floor, it gives a great view of the city. 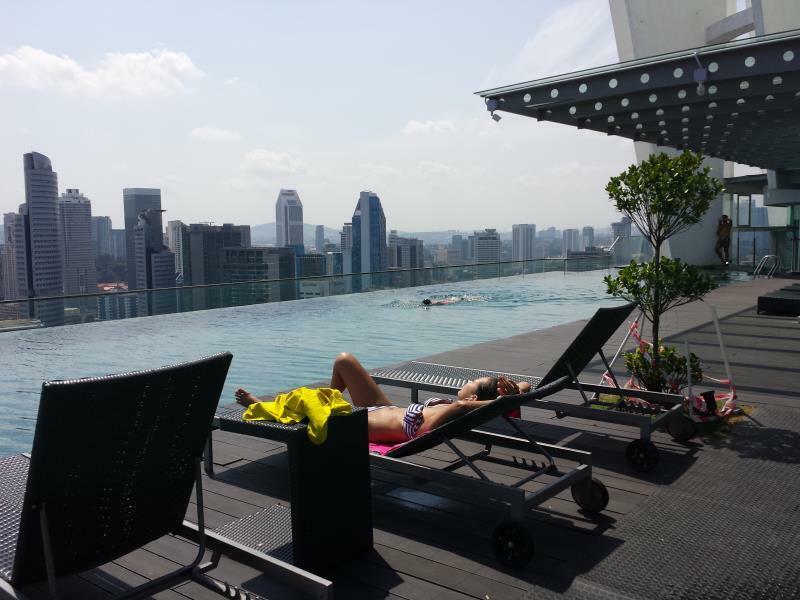 The inifinity pool was great and gives an un obstructed view of the twin towers and KLCC! staff are friendly, hosts are very organized and informative. As you visit KL, stay here and you won't be disappointed! Everything is very good , staff very nice attitude, room is very clean.. Booked a family studio but was upgraded to 1-bedroom apt. It's not as big as the other apt I booked through a different agent. It's also slightly more expensive but still OK for the money. Quite a hassle for us to visit each other due to the room card needed for the lift. The roof top pool was rather crowded so we enjoyed the one at 5th floor instead. Good location nearby Sunway mall where we watched a movie and had lunch before checking in. Waited quite a while for the owner's rep to check us in, so we appreciate a prompter service the next time. Overall, an enjoyable stay. 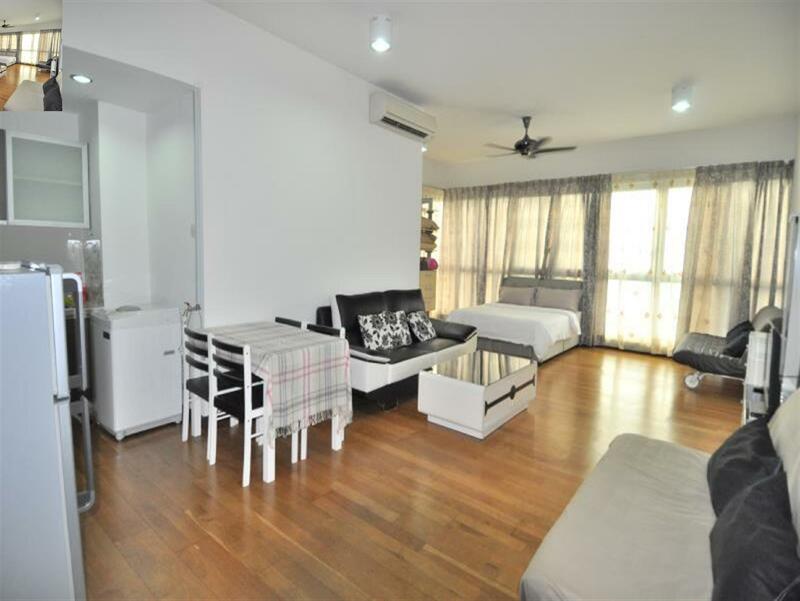 Best location, 15 minutes drive to KLCC, KL Tower, Petaling Street Market, Bukit Bintang. Worth of Money. Stay in Regalia 3 days 2 night with 4 adults and 1 child... huge space, complete facilities...swimming pool in level 37 with best view of Twin towers and KL Tower Overall, one of my best stay experienced. I felt like home. The room is very nice , clean and comfortable. They have a kitchen for breakfast. The owner and the manager are very kind and friendly. It's very close to Putra KTM komuter station(only 3 stations from KL Sentral). The view from Sky swimming pool is owesome. We stayed 3 nights in the 2 bedroom appartment. It was perfect for my husband and my 2 kids, and my brother and his son. Big sitting room to live in. Internet was fast. The staff answered me very fast every time I asked something. We liked the place so much, that we reserved again when we came back to Kuala Lumpur after 10 days at the beach. Most taxis know about the place, so very easy to get there. The appartment was very clean, basic stuff to cook, but enough to do our breakfast and food. Next door to sunway Putra shopping mall... 5 minutes walk. I will definately come back to this place with my family. The checking in was really troublesome. My dad and I was misled by the staff and ended up driving 3 rounds around the hotel to find the carpark. Turned out we had to park outside and check-in before they let us into the carpark. It was a really waste of our time. Really bad!!! After we alighted, tried to find where was the lobby but got misled again to go BLK A for the checkin, in the end the staff over there told us to checkin at BLK C. Anyway, the apartment was wonderful though, despite the bad experience with the staff. It was indeed spacious and worth the money compared to other hotels pricing at above $100+ (and their rooms might be way smaller).. The rooftop pool was great too. Since now I’m aware of what to do prior to checkin, i would definitely come back for another stay (Due to the facilities and convenience). Don’t expect too much from their staff and services. I was madly disappointed with them. The place is just behind the mrt station next building after the mall. Over all it's great just the hot water in the shower will run warm after the 1st or 2nd one in. But the place is near everything you need to go. mrt/lrt is next door and grab cost less the 10 to go to the towers from there. And yet the infinite pool got a view to kill for! We have stayed 5 people in the flat. Wifi was not working at first but they fixed it later. The infinity pool was amazing and its one of the best options if you want a infinity pool. If not there are better rooms with same price. Swimming pool area was nice too. I loveee the colour coordination of the apartment. It's pink and grey and it's bet bright. When you open the windows you can see expressways and it's nice at night too. Very nice communal space and has a sofa bed and sofa on top of two single beds. I love how clean the area was. Good place at the promotion I got for!! !